Melvin Park, Pfc., US Army, KIA, July 12, 1944. The Western Star , September 8, 1944. 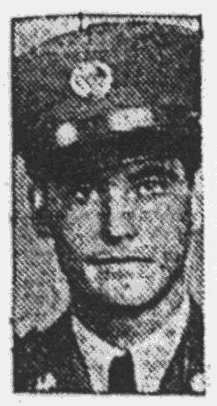 Word was received at Protection on August 4 that Melvin Park of that city was killed in action in France. Official word from the War Department was received by Pfc. Park's father, W. O. Parks, now of Walla Walla, Wash., but formerly of Protection and Coldwater, and by his wife of Hutchinson. 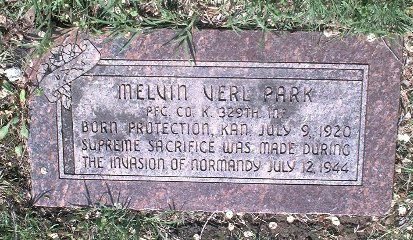 Melvin Verl Park was born July 9, 1920, at Protection, Kans. 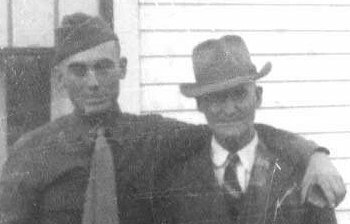 He enlisted in the Army at Wichita May 13, 1940, and joined the Horse Calvary (Show Troop) at Fort Riley, Kans. He served in this troop and trained officers' polo horses under the famous General Allen, whom he admired so much. Later he changed to the 3d Calvary at Camp Funston, Kans. On December 12, 1941, he was sent to Phoenix, Ariz., where he was on patrol duty on the Mexican Border. 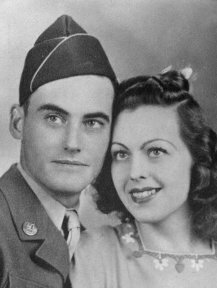 He was a sergeant at that time.On June 12, 1942, he was united in marriage in Tempe, Ariz., with Miss Winnifred Wray, now of 402 North Washington, Hutchinson, daughter of Mr. and Mrs. Orville Wray of that city. Before the Horse Calvary was disposed of for the duration, Sgt. Park was a member of the Black Dragoons, a show troop, of the Calvary which made appearances at the Texas Centennial, the American Royal in Kansas City and other stock shows in the Midwest. 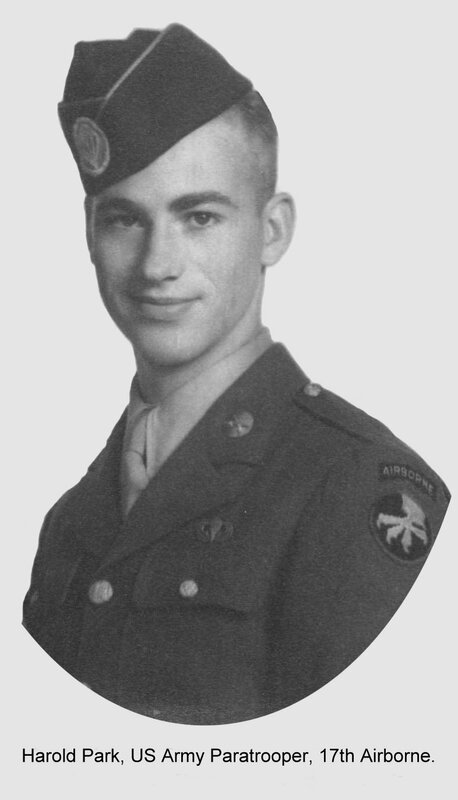 On August 15, 1942, he was transferred to the infantry in the 83rd Division, the first division to be trained at the new camp of Camp Atterbury in Indiana. There he trained the first men drafted to the infantry. He became a platoon sergeant and was advanced to the rank of Staff Sergeant. From June until September, 1943, he was on maneuvers in Tennessee and was then transferred to camp Breckenridge, Ky. In order to fit himself for overseas duty he underwent two operations last winter. Before going to England the first of April, 1944, he gave up his stripes so as not to have the responsibility of a non-commissioned officer, figuring that he could do more toward Victory by fighting on the line with his buddies. He went overseas as a Private First Class and went into active battle the first part of June when the Yanks invaded France. He was killed in action July 12 in the battle of Cherbourg. At the time of his death he was 24 years and three days of age. He was home on furlough last Christmas, and the last time his wife saw him was January 7, 1944. Thus passes another of our young men who, unafraid, willingly gave his all that boys and girls of this and coming generations may not fare what the youth of today have met so bravely, and without flinching. The sincere sympathy of all goes out to the bereaved relatives. Pfc. Park was a nephew of Mrs. Fred Schwader of Coldwater and of Lee Park of Protection. Pfc. 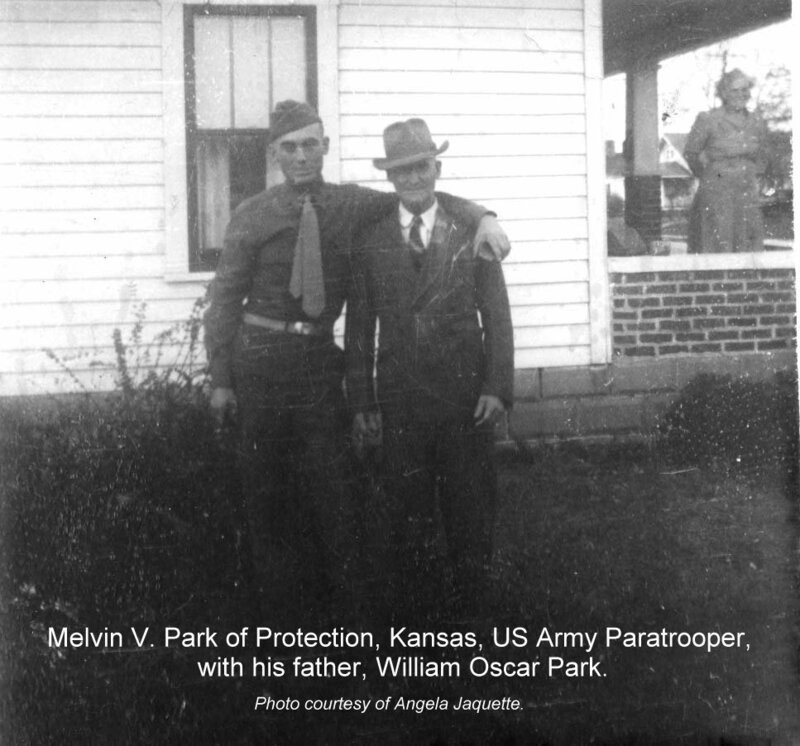 Melvin V. Park of Protection, Kansas, with his father, William Oscar Park. Photo courtesy of Angela Jaquette. PFC. CO. K. 329th INF. THE INVASION OF NORMANDY JULY 12, 1944. Memorial Park Cemetery, Hutchinson, Reno County, Kansas. Thanks to Melvin V. Park's grand niece, Angela Jaquette, for contributing the photo of him with his wife, View larger image of Mr. & Mrs. Melvin Park, the photo of Melvin Park with his father, View larger image of Melvin Park with his father. Thanks to Shirley Brier for transcribing and contributing the above news article and the photo at the top of the page which was published with the article! I wanted to thank you personally for all the wonderful work you have done for Comanche Co., specifically, the information on Melvin Verl Park. Six years ago I told my grandmother that I would find where her brother was buried. 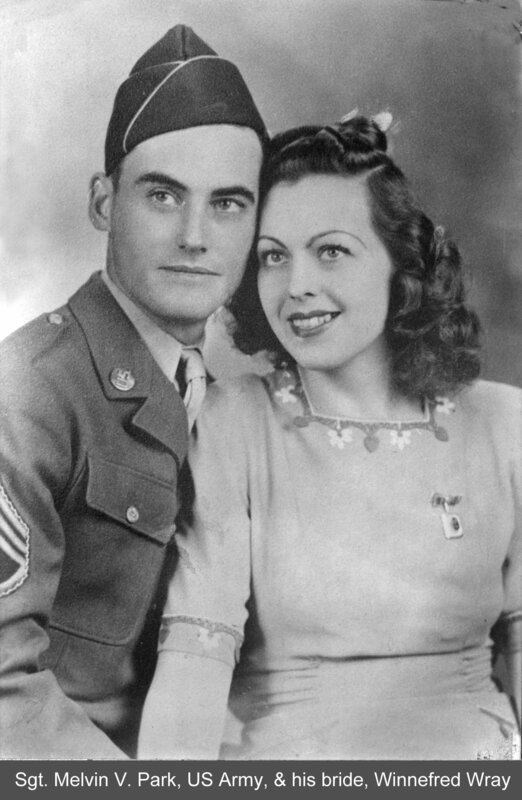 When he was killed in WWII she was a young mother of four in Washington. She knew of his girlfriend, but didn't know that they had married. She lost track of him or just couldn't remember because of her age. Any way I promised to find him for her. A few years ago I actually made it to Comanche Co. and tried to find him. I searched the cemetery at Protection, KS to no avail. I did find the wonderful memorial in Coldwater. I was able to show her the photographs I took. Sadly, I lost her this past December, but I was still determined to find where he was. Today I was able to finally fulfill that promise. Because of your hard work posting his entire obituary on the website, I was able to use information from it to find that he had been returned to the U.S. four years after his death and buried in Memorial Park Cemetery, Hutchinson, Reno County, Kansas. The work of people like you is so important to all of us seeking information on our families who lived far away from where we are. 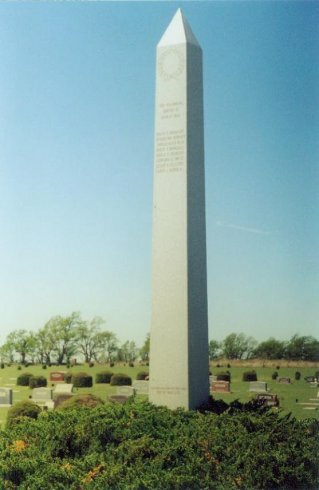 The "Soldier's Memorial" obelisk at Crown Hill Cemetery just east of Coldwater, Comanche County, Kansas. Melvin V. Park is one of the WWII Casualties whose names are engraved in the monument. Photo by Bobbi (Hackney) Huck. Brothers-In-Arms: The Story of the 83rd Division The 329th Infantry to which Pfc. Melvin Park belonged was part of the 83rd Division. This web site by Dave Curry is devoted to the history of the 83rd Division. The 83rd Division - Normandy Campaign A memorial project by Dave Curry, John Bifano and Kevin Harris. 329th Infantry Rag Tag Circus A website by John T. Mauldin, Major, 329th Regimental Surgeon, 83rd Division. 83rd Division Battle Deaths During WWII This page lists Pfc. Melvin V. Park. 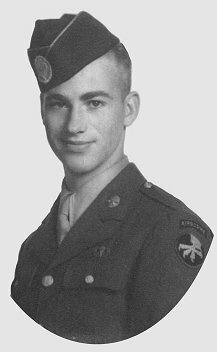 Harold Park of Protection, Kansas, US Army paratrooper, 17th Airborne. Brother of Melvin V. Park. Photo courtesy of his grand-niece, Angela Jaquette. 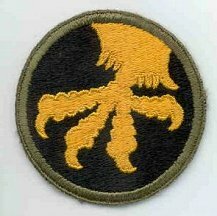 A 17th Airborne shoulder patch. This page was last updated 30 April 2004.